After five years of marriage, our biggest dream is to have what most families take for granted: a family! A huge obstacle for us is saving up thousands for fertility treatments or adoption fees in order to reach our goal. New Hampshire is one of the states that does not offer insurance coverage for fertility treatments, medications and family building. We are so thankful to AGC which offers a wealth of knowledge, support and connection with other couples attempting to overcome infertility. Jason and I are beyond grateful that AGC has offered to support us with a scholarship. A few months ago I went through what can only be described as the most difficult challenge of my life. After over a year of trying, I miscarried our baby girl at 16 weeks. It was during this trying time that someone told me, “Life can be a beach. Some days the waves will be harsh and rugged and knock you down, and that’s okay. Because without those rough days one wouldn’t nearly appreciate to the extent that we do those days when the water is still as glass and a sight to behold. Those are the glorious days that we remember throughout life and that make a serious impact.” While the waves have been rougher for us lately, I’m quickly learning the truth in that statement. If it weren’t for those trying times, Cameron and I wouldn’t fully appreciate everything that this scholarship means and the incredible opportunities that it will present for us. We are so grateful and look forward to the day when we can send you all a happy update regarding our growing family. Thank you so much AGC for sharing the best gift you can with people, hope. We always knew we wanted a family and after two years of trying and then two rounds of IVF we were blessed with our son in 2014. As time went on we did what anyone would do, hope we would conceive naturally the second time. Its been almost three years and that hope has not become a reality. 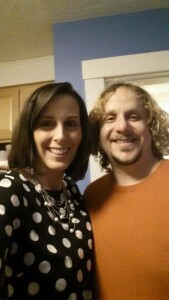 So here we are trying to grow our family and in the midst of the next IVF. This would not have been possible without the support and motivation from AGC. Their invitation to the Falmouth Road Race was just the sign we needed to keep the hope alive. This next part of our journey will not be covered by insurance so the money we received is such a big help. We are so honored and thankful to AGC and everyone who has supported us along the way. In the summer of 2008 I had just met the person that I wanted to start a family with, she many not have known it yet but I fell for her during our first meeting. 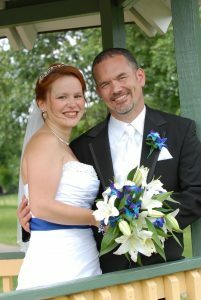 Fast forward a few years, numerous addresses and job changes, we tied the knot! A few months into our marriage we decided to begin growing our family and never dreamed the journey that we would be embarking on. It was discovered that I had azoospermia. After more tests and attempted retrieval we were told that my body does not produce sperm and never has. That was devastating to hear and comprehend. Having a family with Julianne is all I have dreamed about. Life throws curveballs sometimes and after we had time to grieve we decided donor sperm would be the right fit for us to grow our family. AGC came into our lives giving us hope and a sense of community. With the generous financial and emotional support from AGC Scholarship Foundation we are able to start the family we always wanted. We feel blessed and are forever grateful. “Fight on for the fairytale, it does exist.” – Joy F.
“If you want to go fast, go alone. If you want to go far, GO TOGETHER.” (African Proverb) We couldn’t have gone through this without our family and friends. We truly believe in the power that comes when we work together. We are grateful for this scholarship to help us make our dreams happen! Thank you! September 2013. That was when Dave and Alex decided that they wanted to grow their family and become parents together. Alex didn’t know what lay ahead for them, but she never imagined how long and difficult their roads would be. After more than 15 months of trying, with the all-clear from the doctor’s, Alex and Dave received the wonderful news that they were finally expecting in March of 2015. But their joy was not to last, as Alex miscarried in April. The six months that followed were filled with doctor visits because Alex’s body wasn’t healing from the miscarriage. 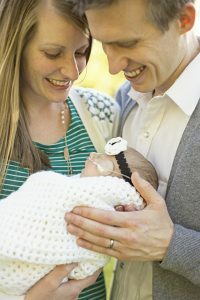 By October her body had healed enough and the doctors began working with the couple to have a child. Although the couple had no known issues, they tried many drugs, injections, IUIs, none of which ever yielded a single pregnancy. 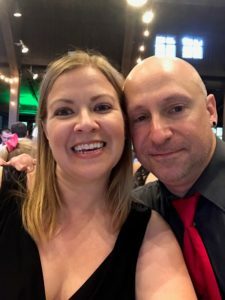 With IVF as their last hope, but financially just out of reach, Alex and Dave reached out to anyone who might be able to help them build the family they’ve been so desperate for. With this grant they are finally able to move forward with IVF beginning in January 2017. 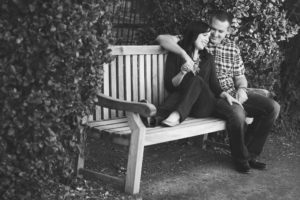 Through testing it was determined we both have infertility issues and would not be able to conceive on our own. 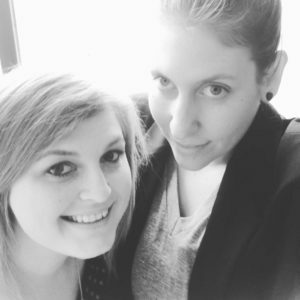 IVF was not an option for us either so we proceeded with four IUI cycles in 2014. We had several acupuncture treatments, meds, supplements, etc. to increase our pregnancy chances but were never successful. 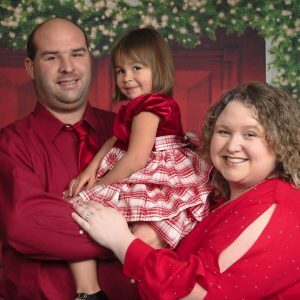 After six years of infertility and failed IUIs we moved onto adoption to grow our family. In 2015 we happily welcomed our daughter and are currently in the process of adopting her full biological sibling that will be born in the beginning of 2017. We are so very grateful to AGC Scholarship Foundation in helping us achieve our dream of having a family. Without you it would not be possible. Before even deciding to marry, Niki and Diswal wanted to have children together. Sadly, the month after their wedding, Diswal was diagnosed with non-obstructive Azoospermia. It was a devastating blow. But true to their nature, they refused to give up. Niki used her PhD earned research skills to find the best doctors, supplements, and treatment plans, and Diswal agreed to undergo an invasive Micro-TESE. Sperm retrieved via Micro-TESE require IVF; Niki will undergo this procedure afterwards. 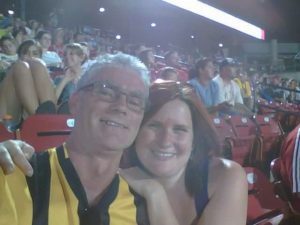 The generosity of AGC Scholarships puts them one step closer to ensuring that Niki’s father will be able to meet their child before his late stage Parkinson’s advances too far. 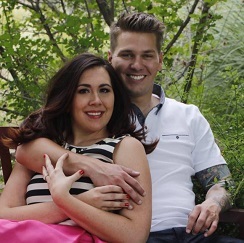 Stacey and Mark have travelled a long, rocky road down the infertility path. Conceiving their son in 2014 after many years of trying and losing him unexpectedly to SIDS is just the beginning. There is a light at the end of this long road with a new possibility of adoption that has suddenly been offered to them. They are thankful to AGC for all that they do for families trying so desperately to have children. Their generosity will certainly make the process easier. After years of fertility testing, treatments and procedures through IVF, we were finally blessed with the birth of our daughter, Nona. We were heartbroken when we were told her life on earth would be short. 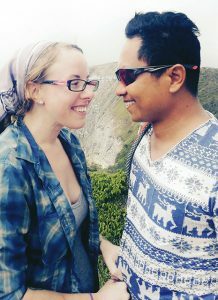 Our experiences have completely changed our lives for the better, even though we wish we wouldn’t have had to say goodbye so soon. Going through this has made us more aware of others’ silent burdens. We know what happiness is and hope to increase ours by having a sibling for Nona. Our doctors tell us there is hope for future children, but because of our medical history it may take us a few tries. We’re not ready to give up hope just yet. 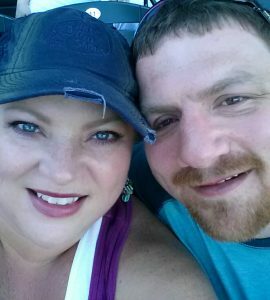 AGC provided a generous amount of financial support for Brandon and Heather’s first round of IVF. 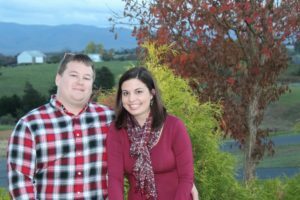 While IVF did not result in pregnancy the first time around, Brandon and Heather received a Partnership for Families Grant for IVF from the Ahuja University Hospitals Fertility Center and are currently pursuing their second round of IVF. 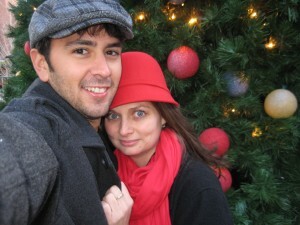 Marco and Sarah have been married for 8 years. They both have a deep rooted love for family and have always wanted one. For over 6 years they tried to create their family through assisted reproduction technology due to severe PCOS. They survived 2 losses, including an ectopic pregnancy. At the end of 2015 they decided to move toward adoption. They worked hard to gather resources and were able to begin working with an agency in December. 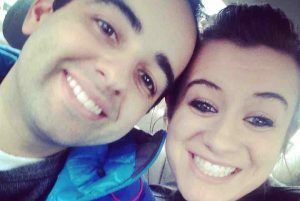 Their life took a wonderful turn when they were matched with a woman in April of 2016. 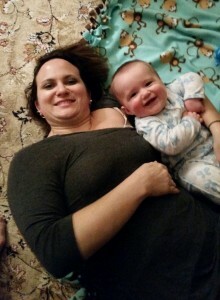 They recently brought home a spectacular baby girl and are happier than they ever imagined. We both have tight knit families and always knew we would want to have kids. 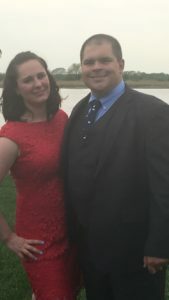 We started trying for a baby almost right away after we were married in July of 2015. We were both in our thirties, with Jesse turning forty later that year, we didn’t want to waste any time. In the spring of 2016 it became clear we were having trouble and started the process of fertility testing. The day before Jesse was scheduled to go in for his tests, we rushed him to the hospital with unusual migraine symptoms. That’s when everything changed. He was diagnosed with an operable brain tumor, and low grade astrocytoma. He immediately underwent surgery and we started preparing to preserve his fertility before starting chemotherapy. That’s when our world was rocked again and we were diagnosed with male factor infertility. We were told IVF was our only option. 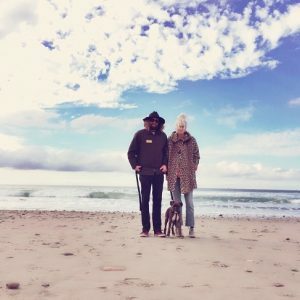 UPDATE: Katie and Jesse are expecting June 2017! Our family feels blessed beyond measure to have been chosen by AGC for a scholarship towards our IVF treatment. After years of heartache and negative pregnancy tests, we found out what nobody ever expects, it wasn’t “that easy”. After using all of our savings in 2011 to have our son, we never expected to be able to do it again on a cop and teacher’s salary. But with the help of AGC, we hope to be able to give our son a sibling and bring even more love into our family. 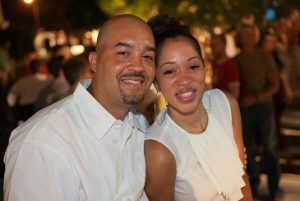 Shawn & Geneva have been married for 4 years and have wanted children since they said I do. After a miscarriage and 3 ectopic pregnancies, Geneva had to have her tubes removed – leaving IVF as their only option to conceive. 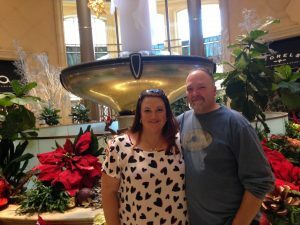 Post surgery for a fibroid removal, Natalie & Chris found out from their RE that she had not 1, but 7 fibroids and fluid filled Fallopian tubes, all of which were removed. 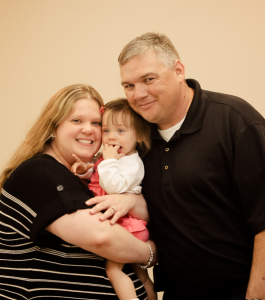 Due to medical conditions, Celeste and Kevin chose adoption as their route to parenthood. After a devastating eight years and three failed placements, they decided to move forward with a new agency. 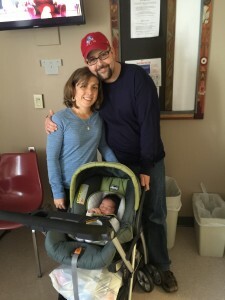 Kevin and Celeste welcomed their son Matthew in March 2015. “Crazy how your heart can grow. I think our hearts are getting stretch marks”. Mary and Robert welcomed their son John in March 2015. 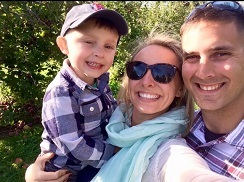 After years of treatment, Lindsay and Tim found out they were pregnant via IVF. In 2013, they had the amazing experience of the birth of their son and then just 9 short weeks later, the devastating loss of their son. 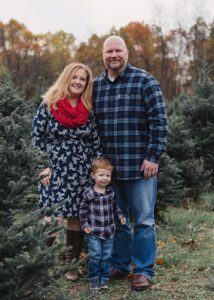 Lindsay and Tim welcomed their second born son via FET in February of 2015. 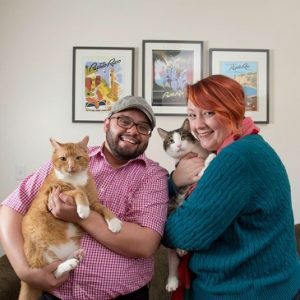 Marissa and Bob are now expecting with a due date in August. After a complicated pregnancy, Gina and Salvatore had their daughter two months premature. Her birth was a trying time for them as she spent weeks in the NICU. A year after her birth, they started trying for a second child. 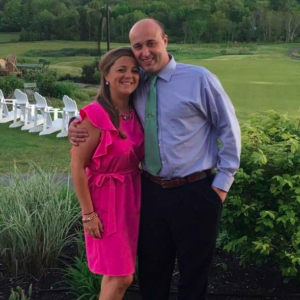 At the age of 32, Amy was diagnosed with Stage IV Cervical Cancer. Upon diagnosis, it was recommended that she have a full hysterectomy immediately. Trying to preserve her fertility and ability to have children, she declined the hysterectomy. Unfortunately, the treatments were unsuccessful and she needed to have a radical hysterectomy.